The easier and shorter version of Dr. Hormoz Hormozdi is Dr. Oz and that's what we call him. Dr. Oz has always had a passion to help people with their health and smile and that passion fueled his interest to be a dentist. Unfortuantely, he was unable to get into dental school in his home country but that did not stop him from pursuing his passion for wanting to help people. He instead attended and graduated from Medical School and worked as a General Practioner for 5 years before discriminiation against minors in his country forced him to leave but was able to emigrate to the US as a religious refugee.Dr. Oz saw this as a second chance to follow his true passion... dentistry. 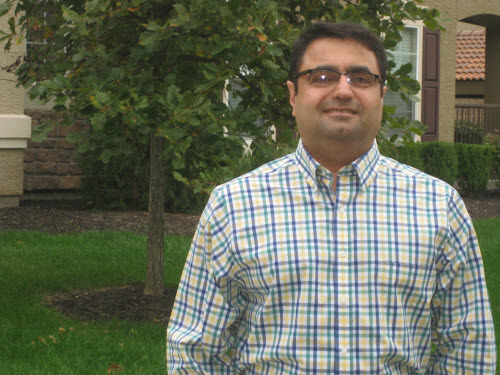 Starting from scratch in the US, he has completed dental school and now has his own practice! Today he continues to help people with their smiles and aims to provide the best treatment possible to all of his patient, which are not only patients to him but considers them part of his family.